One of the most beloved Pokémon is Snorlax. Meet the man who inspired the character. 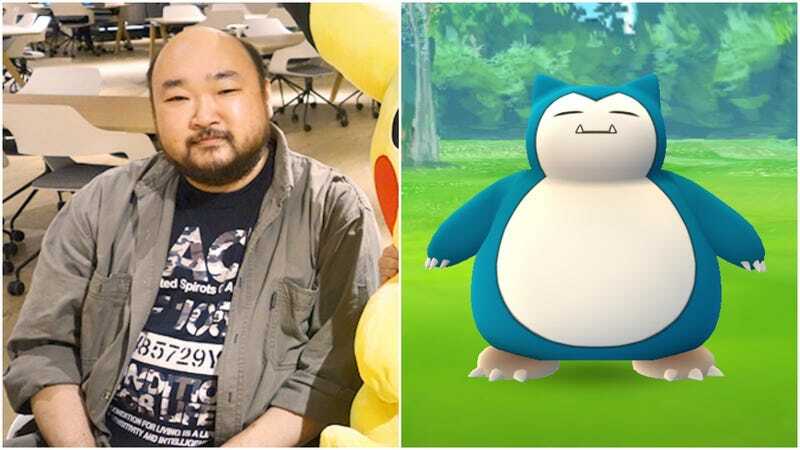 In a recent interview with Japanese newspaper Yomiuri, Pokémon art director Ken Sugimori confirmed that planner Koji Nishino served as the model for Snorlax. It had to be intentional. Surely. Nishino has worked on the series since Red and Green. Previously, it seems, that it wasn’t 100 percent clear the character was based on the game developer. In Japanese, Snorlax is called “Kabigon,” which, according to Pokémon urban legend, was Nishino’s nickname. The reason is that “kabi” (カビ）means “mold,” and apparently, Nishino would even eat food that had gone moldy. He really looks like Snorlax. Or, better yet, Snorlax really looks like Nishino.